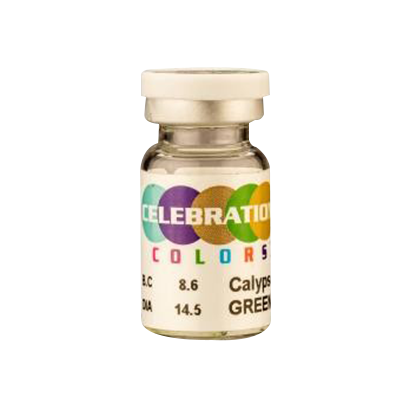 Celebration Yearly Color Toric lenses are for anyone looking to add some color to their lives and their eyes. Introduce a stylish dose of color to your eyes and correct your astigmatism at the same time, with these coloured contact lenses that ensure exceptional visual acuity and comfort. Whether you want to enhance your natural eye color or are looking to completely change it, Celebration Yearly Color Toric lenses are the ideal choice for you. Celebration Yearly Color Toric lenses provide your eyes with adequate moisture, keeping them hydrated throughout the day. The lenses ensure blurred and distorted vision become things of the past, due to the stable and clear vision they deliver. Correct your astigmatism without needing to compromise on style when you wear these toric contacts. These toric lenses are yearly lenses, requiring removal every night. To maintain the hygiene and comfort of your lenses, make sure you clean and store them in a contact lens solution.